Dreamworks' Kung Fu Panda franchise, started in 2008, has become one of their biggest yet, and this is set to continue with plans to make it as large as a six film series. It's been almost half a decade since the second installment, but now the threequel is finally here, bringing a host of new characters and plot threads to the screen - the question is, do they justify yet another entry to the franchise? 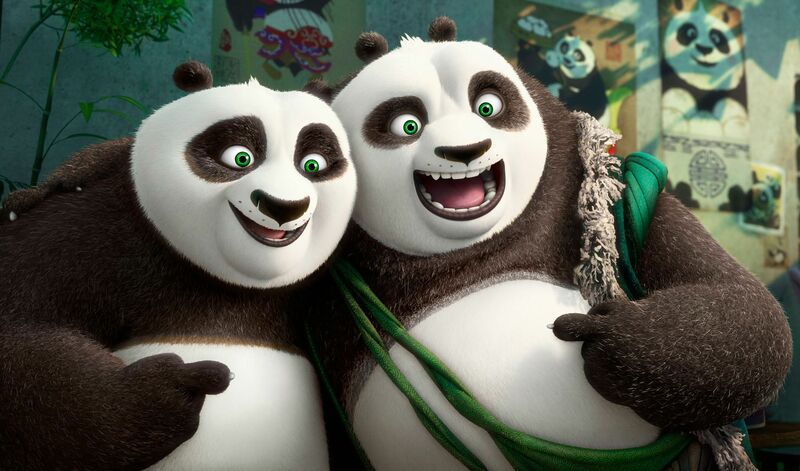 Continuing his role as the Dragon Warrior and defender of the Great Valley, Po (Jack Black) is bestowed with further responsibilities when the renowned Master Shifu (Dustin Hoffman) finally retires and passes on his teaching duties to Po himself. After struggling to cope with conveying his skills to the Furious Five as a tutor, Po's worries further escalate when a sinister villain known as Kai (J.K. Simmons) emerges from the immortal world to seek long awaited vengeance, whilst also encountering his long lost father Li Shan (Bryan Cranston) and a secret Panda Village that unveils further truths about his forgotten childhood. The Kung Fu Panda franchise uses familiar themes to convey it's narrative, but has produced some surprisingly resonant results, with 2011's second installment (while not perfect) demonstrating some unique character arcs, expressed through some interesting plot twists and visual surprises. This time round, we build upon the ending of the first sequel, with Po's father coming to the Great Valley to seek out his son who went missing long ago. The relationship established between Po and his father, superbly voiced by Bryan Cranston, may not be as strong as it could've been, but it still produces some endearing results, especially when it comes to revealing further backstory on Po's family life. The other members of the panda village also have their own unique, loveable personalities, and they help add up to a superb climax once we enter the final confrontation. The villain Kai isn't on par with Tai Lung and certainly not as badass as Lord Shen from the first two movies; his initial threatening finesse upon entry seems to be undermined by a number of samey punchlines and so it can be hard to take him seriously. Plus, this aside, he just seems to come across as a bit of a generic brute, with his potentially powerful backstory dismissed for the most part - still, as a sinister foe, he's reasonably entertaining, especially thanks to the solid voicework by J.K Simmons. 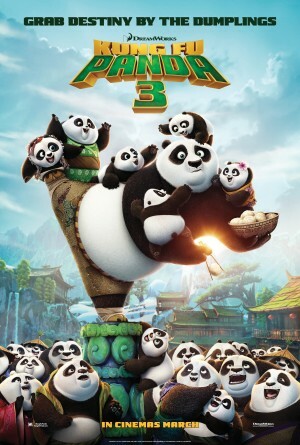 For the most part, Kung Fu Panda 3 feels like a true conclusion to this series, combining narrative elements from the first two movies in equal doses to produce a respectable finale of the overall tale; so it's a shame that more sequels will continue to flood the screens for monetary gain. Not an animated masterpiece, but worth a watch as another enjoyable Dreamworks production.